STOP EVERYTHING. You can now buy Creme Brûlée Doughnuts. Gulp. I discovered this cake through my father-in-law’s romantic memory of a cake he used to eat as a boy. He loves to set me a baking challenge (he’s not stupid – as it means CAKE!) and I love to accept the task, especially when we are visiting their farm and I am in holiday mode. Everything is easier when I am in holiday mode! The first few times I made it he suggested slight tweaks: more cinnamon, less butter, could be thicker etc., and so I have since doubled the original version. It’s a BIG cake, but when it comes to hot cinnamon doughnuts, the bigger the better I say! Just remember to use a bigger cake tin (I use my grandmother’s old fruitcake tin). 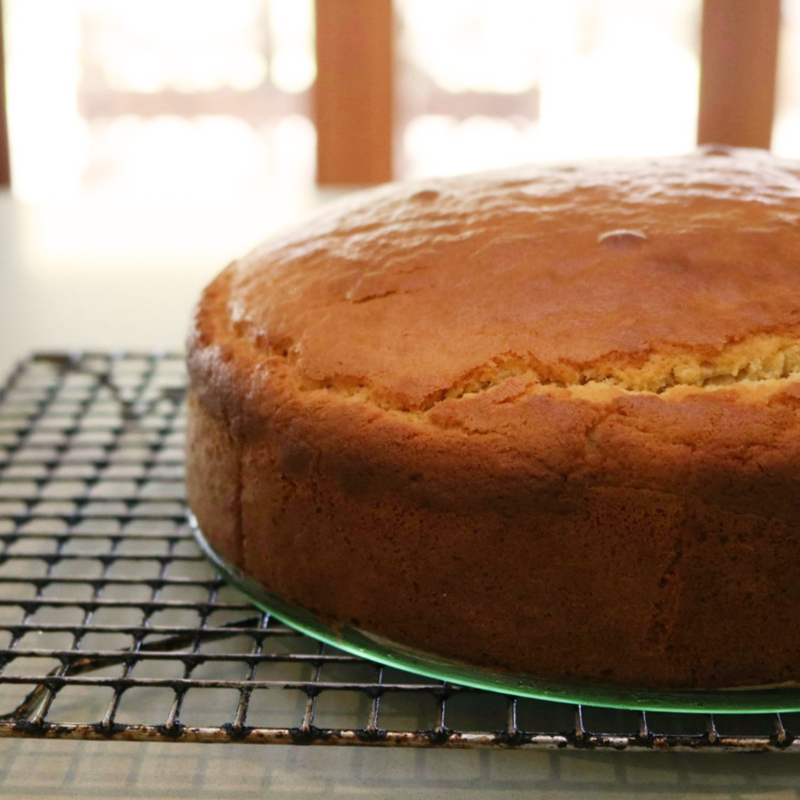 This cake has since become a family favourite, requested often and loved always, and will be at your house, too. Preheat oven to 180°C (160°C fan-forced). Line a 24cm cake tin with baking paper. Add butter, vanilla and sugar to a bowl, and beat with electric beaters until pale and creamy. Add in eggs, one at a time, and beat until combined. Sift flour and add it to bowl with milk, folding and whipping by hand until you have a lovely smooth batter. Pour mixture into the lined cake tin and bake for 35 minutes or until cooked through (a skewer inserted into the centre of the cake should come out clean). When the cake is almost cooked, start preparing the topping. Mix together the sugar and cinnamon in a bowl and melt the butter. Remove cake from oven and turn it out while warm. Immediately pour over melted butter, followed by the cinnamon and sugar mixture. Serve immediately.